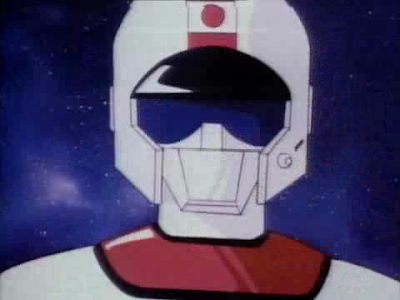 Fires From Ashes: Saber Rider : A Fraud ... ! My brother and I followed this cartoon religiously in the 80's. Myself more so because the title character was hot, had a posh voice and an accent! 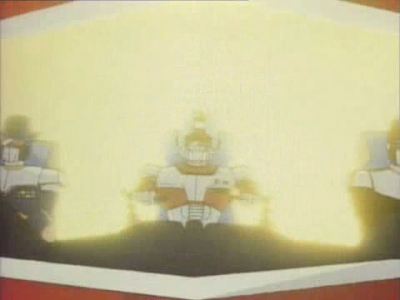 Don't forget that cool opening sequence with the macho music! All the SFX of whips cracking to punctuate the end of each verse, the electric guitar, and (what sounds like) Elton John growling his lines. Yeah! The opening sequence alone is enough to make you wet your pants. OooOOooH! 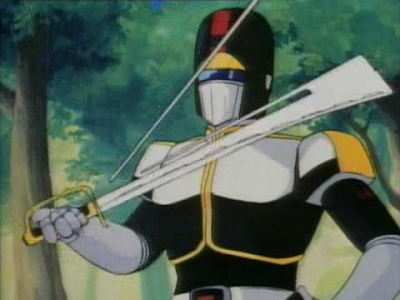 I tried getting old episodes of Saber Rider & The Star Sherriffs to relive my childhood crush. They weren't easy to find, and my extended digging uncovered a dirty little secret on what I thought was an American series. It's actually a JAPANESE cartoon!! The original name is Seijūshi Bisumaruku (Star Musketeer Bismarck). 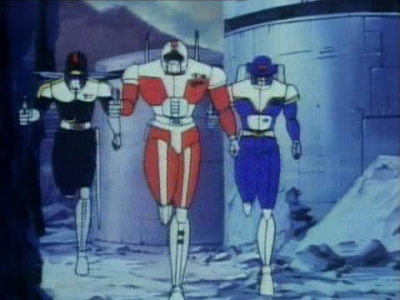 And ... FIREBALL is the real leader of the team, the Japanese dude in the red costume! 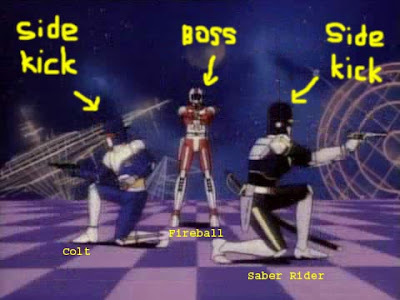 Saber Rider (black dude) was just a British sidekick, along with Colt (blue dude) the American cowboy sidekick. 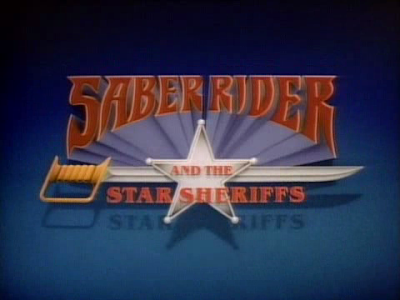 When the rights were purchased by the American network WEP, they tried to turn the blond, blue-eyed Aryan boy Saber Rider into the hero because the rednecks of America couldn't relate to a Japanese hero! WTF. All my childhood memories ... destroyed in an instant! But, it did clear up a lot of confusion I had as a child. There's the red dude, in the middle again! Fireball in the hero spot again, right in the middle! Observe, an Extreme Close Up normally only reserved for the hero! 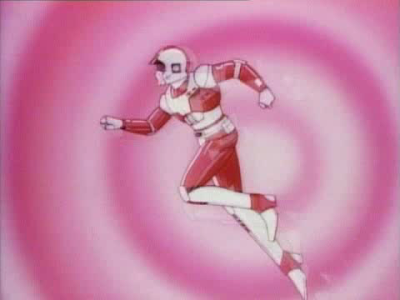 ... and the traditional Japanese hero's candy-coloured hypno background. 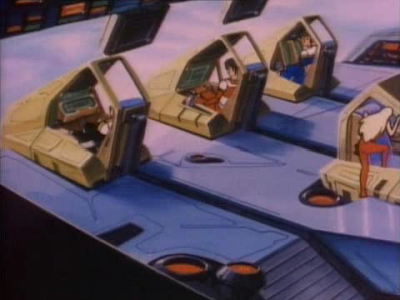 Saber Rider only has lame scenes spliced from the cartoon itself. They didn't bother to draw any special opening scenes for him. Poor little me, living with this misconception all these years - but now WEP's sneaky attempt at rebranding the hero of the cartoon has finally been revealed, and the wool has fallen from my (and hopefully, YOUR) eyes! I'm glad to say that if a child could spot the inconsistencies, WEP had hopefully failed in their efforts to make the hero a white dude. 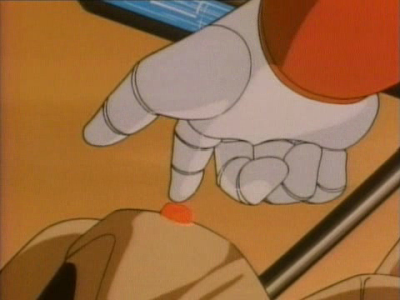 All those "creative" edits (including a re-drawing of 6 episodes) and I STILL thought Fireball was the hero. 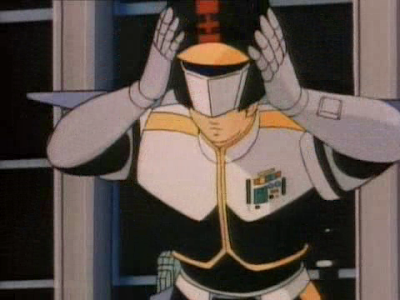 And now I know that poncy ol' Saber Rider was a phony! So much for white supremacy. And my childhood crush. He must ... be ... exposed! Ya, that was probably me, ranting to you guys. But I haven't had time nor energy to update this rant in my blog until now. Heheh.